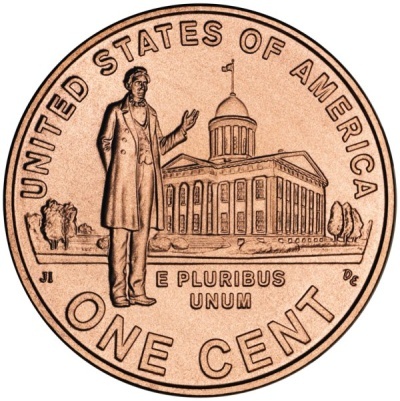 The obverse (front) of the Lincoln penny has remained unchanged since it was first designed. It features a bust of Abraham Lincoln designed by Victor David Brenner who had sculpted a bronze plaque of the late President Lincoln several years earlier. President Theodore Roosevelt was so impressed with the sculpture when he saw it, that he ordered the new one cent coin commemorating the 100th anniversary of Lincoln's birth, to be based on Brenner's work. It is common for the designer's initials to appear on United States coins, however they are usually very small and inconspicuous somewhere on the coin, usually going unnoticed by most people. A simple wheat ears design was chosen for the reverse side of the coin. After much criticism over the size and prominence of the initials, they were hastily removed and did not re-appear on the coin until 1918. This time they appeared much smaller as was common for the designer's initials on other coins. The Lincoln cent was the first US coin to bear the image of a "real" person. Previous designs had all included the mythical "Liberty" image. 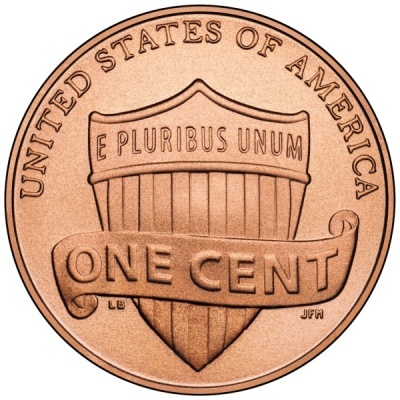 In addition to the word "LIBERTY", which appeared on all us coins, and the date, the motto "IN GOD WE TRUST" was used on the Lincoln penny. This was the first time for this motto to appear on the one cent coin. Early Lincoln Head Pennies had wheat stalks on the reverse and have become known as "wheat pennies" or "wheatback pennies". There are two varieties of wheat back pennies. Mintage For Mintage Numbers for all Lincoln Cents click here. The metals used in the Lincoln penny have changed several times over its lifetime. Initially it was made of 95% copper and 5% tin and zinc. 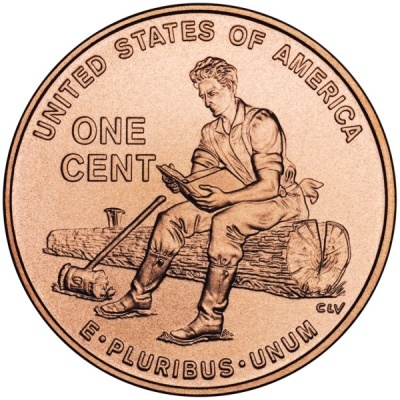 The 1943 penny, however, was made of steel coated with zinc. The World War II effort needed all available copper for ammunition and other military equipment so steel pennies were made. According to the U.S. Mint Website, "The copper released for the war effort was enough to meet the combined needs of 2 cruisers, 2 destroyers, 1,243 flying fortresses, 120 field guns and 120 howitzers, or enough for 1.25 million shells for our big field guns." For Mintage Numbers for all Lincoln Cents click here. An error at the mint caused a few 1943 pennies to be made of Bronze instead of the zinc-coated steel intended for that year. A blank metal disk, the size of the intended coin, that has been cleaned and polished and prepared for striking. from the previous year were left in the hopper and went unnoticed when the steel planchets were placed into the hopper to begin production for the new year. This resulted in a 1943 penny that was made of copper instead of steel. 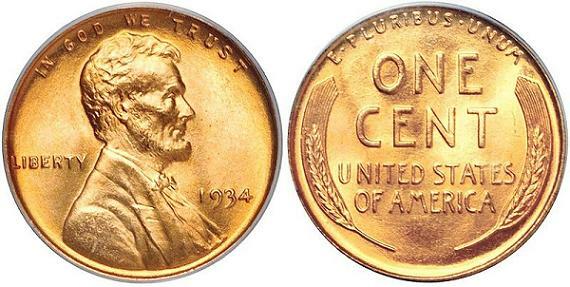 It is believed that 40 of these 1943 pennies were struck but only 12 have been confirmed to exist. The same thing happened for the 1944 penny the next year, only this time in reverse. 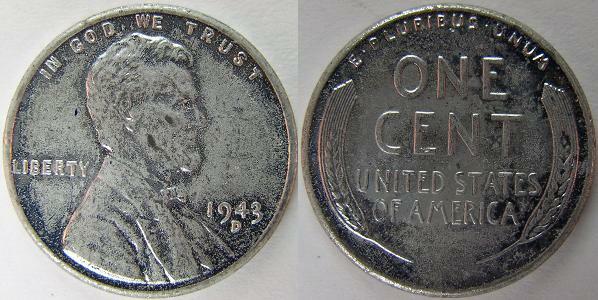 It seems a few steel planchets from the 1943 steel penny were left in the hopper resulting in a few 1944 steel pennies. 27 are known to exist from the Philadelphia Mint with no mint mark and 7-10 with the D mint mark. Only 1 1944 Penny made of steel is known to exist with an S mintmark. 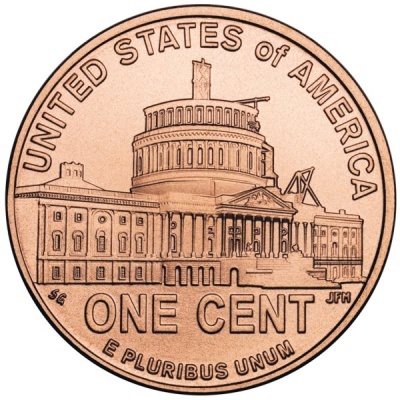 The 1944 Penny saw changes in composition once again. After complaints that the steel pennies looked too much like a dime with its gray color, the metal used was changed again. In early 1944, the mint began making the Lincoln head pennies from spent shell casings which was an alloy very similar to the original except that it had less tin. In 1946 the coin was returned to its original composition, but over the years, with the price of copper rising, different metal compositions were tested and tried. Then in mid-1982, the mints began making the Lincoln penny of copper-plated zinc. 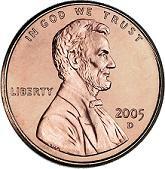 This composition was 97.5% zinc and 2.5% copper and is still being used for Lincoln head pennies today. In 1959 the design of the reverse was changed to include the Lincoln Memorial. This design commemorates Lincoln's sesquicentennial (150th anniversary of his birth). In mid-1982, composition was changed to 97.5% zinc and 2.5% copper and is still being used for Lincoln head pennies today. 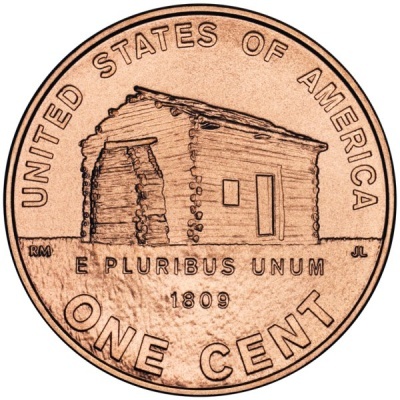 In 2009, there was a big change for the Lincoln Penny to commemorate the 200th anniversary of the birth of President Abraham Lincoln and the 100th anniversary of the introduction of the Lincoln Cent. Four different coins were made, each showing a different scene from his life. These coins were made with the same alloy as was used for cent coins from 1982-2008, except for special Lincoln cent coins that were in collector's sets which were made of the same metallic copper content as was used in the original 1909 wheatback pennies. Specail versions included in collector's sets are made of the same composition as the original 1909 cents - 95% copper, 5% tin and zinc. In 2010 we again saw a big change in the reverse of the Lincoln cent. These new coin designs are "an image emblematic of President Lincoln's preservation of the United States of America as a single and united country". Collecting Lincoln cents can be a fun a rewarding coin type for someone new to the hobby of coin collecting and for collectors with more experience too. Some very experienced collectors still enjoy collecting pennies. Even though there are not a lot of different varieties, there are still some interesting coins, including the 1943 penny that was made out of steel, wheatback pennies, and Lincoln Memorial pennies. And with a hundred years worth to collect, it will keep you busy for quite some time.